(5) and had refuse to follow the financial agendas dictated by Wall Street and the City of London investment houses, speculators and vulture funds. (3) secure compliance through punitive military invasions, occupations and economic sanctions against targeted adversaries. The major financial newspapers of record in the United States have played a key role in disseminating the post-communist political line regarding what are acceptable capitalist policies: The Wall Street Journal, (WSJ), the New York Times (NYT), and the Financial Times (FT) – the ‘Troika’ – have systematically engaged in political warfare acting as virtualpropaganda arms of the US and EU imperialist governments in their attempts to impose and/or maintain vassal state status on countries and economies, ‘regulated’ according to the needs of Western financial institutions. The propaganda Troika not only reflects the interests and policies of the ruling elites, but their editors, journalists and commentators shape policies through their reportage, analyses and editorials. The Troika’s methods of political operation and the substance of their policiespreclude any kind of balanced reportage. Day in and day out, the Troika (1) fabricates ‘crises’ for adversaries and illusory promises of ‘recovery’ for vassals; (2) distorts and/or omits favorable information regarding adversaries, dismissing targeted regimes as ‘authoritarian’ and ‘corrupt’. In contrast, obedient and submissive rulers are described as ‘pragmatic’ and ‘realist’. The Troikaattributes ‘military threats’ and ‘aggressive behavior’ to adversaries engaged in defensive policies, while labeling vassal state invasions or aggression as justified, retaliatory or defensive. A close reading of the reportage by the stable of Troika scribes over the past 2 years reveals the repeated use of vitriolic and highly charged terms in describing adversarial leaders. This prepares the reader for the one-sided, negative assessment of past, present and future policies adopted by the targeted regime. Once the imperial states and the Troika decide on targeting a government and its leaders, all the subsequent ‘news’ is designed to present the motives of these leaders as ‘perfidious’ and the economic and social impact of their policies as ‘catastrophic’. And whenever the ‘Troika’s’ analyses or predictions or prognostications turned out to be blatantly wrong – there are never corrections. Brazen lies are glossed over with nary a ripple in their smooth fabric of propaganda. Once a government is designated as ‘enemy’ (ripe for ‘regime change’), the Troika recycles the same hostile messages almost daily. The readers, upon viewing Troika headlines, already know at least three quarters of the content of the ‘article’. A small portion of a report may refer tangentially to some particular event or policy decision for which the diatribe launched. Working hand-in-hand with Western imperial regimes, the Troika targets the same regimes, using the exact same terms dished out by imperial policy spokesmen and women. In this essay, we will discuss the main regimes and policies targeted by the Troika and its Western imperial state partners. We will then proceed to evaluate Troika facts, interpretations and their track record from the beginning of the onslaught to the present. We will conclude by examining the conversion of the mainstream ‘serious’ financial press into a triumvirate of tub-thumping warmongers. The Troika’s propaganda war not only converges with the imperial states’destabilization policies (‘regime change’) but also is aimed at specific policies and agreementsamong supposed allies, partners and even vassal states. The intensity of vitriol and the frequency of hostile articles vary according to the level of conflict between the imperial regime and its target for ‘regime change’. The greater the conflict the more violent the language. We find intense Troika hostility, in the form of frequent, hysterical attacks, directed against Russia, China, Venezuela, Argentina and Palestine. Even any suspected ‘deviations’by vassals, like Chile or Brazil, in the form of popular domestic social legislations, are subjected to stern scolding and warnings of dire consequences. As discontent spread and anger mounted among Ukrainian citizens, Yatsenyuk continued to feed his own ego by reading the Troika’s puff-piece editorials lauding his courage for staying the course of austerity and ignoring his compatriots’ opinion polls, up until the October 25, 2015 elections. For two years the Troika had praised the Kiev junta, fabricating ‘reports’ about Kiev’s positive economic ‘reforms’ ….which had benefited the 1% corrupt oligarchs while impoverishing the masses. The Western propaganda mills systematically distorted popular reaction among the Ukrainian citizens, citing imaginary ‘anonymous experts’ and phantom ‘men in the street’ in praise of the debacle. Never had the Troika engaged in such blatantlydeceptive ‘journalism’ as its account of the two years of pillage and mass immiseration under Prime Minister Yatsenyuk. And when ‘Yats’ was faced with total repudiation, he blithely dismissed Ukrainian public opinion, claiming he was ‘not concerned by temporary (sic) political party ratings’. His indifference with an electoral repudiation of 99% is rooted in a delusion that he will remain Prime Minister because he is widely praised by the EU, the US, the IMF … and the media Troika. 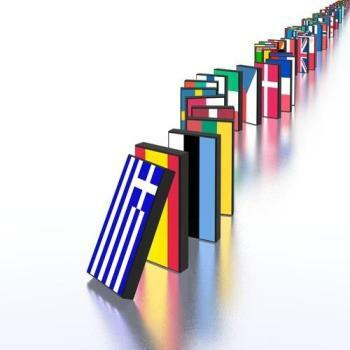 The Troika and China: Here Comes the Crash . . .? In its ‘journalistic pivot to Asia’, the Troika deprecates China’s high-growth economy by questioning its data and by repeatedly predicting the impending crisis, breakdown and mass disaffection. The Troika describes China’s defense policy as a ‘military threat to its neighbors’ and labels its overseas trade and investment policies as ‘neo-colonial exploitation’. China’s national campaign against corruption and its prosecution of corrupt officials is dismissed by the Troika as a ‘political purge by a power-hungry president’. The Troika attributes Chinese advances in science and technology as mere ‘cyber-theft of Western innovations’. The movement of Chinese workers (internal migration) to areas with better paying jobs and investments is called ‘colonization’. The Chinese government’s response to terrorism and armed separatists from Tibet and the Western Uighur regions is denounced as “Beijing’s systematic violation of the human rights of minorities”. Argentina has been on the Troika’s radar for a decade, despite the fact that it has a center-left government, which rescued capitalism from a total collapse (the Crisis of 1998-2002) restoring the growth of profits. Multi-nationals, like Monsanto and Chevron, enjoy huge returns on their investments in Argentina. The Troika denounces the government for running up budget deficits while ignoring the impact of a Manhattan court judgement to award a group of Wall Street ‘vulture fund’ speculators ‘interest payments’ of one-thousand percent on old pre-crisis debt. The Troika claims the regime engages in populist excesses, which prevent large-scale inflows of investment capital. The Troika describes the recent slowdown in the economy as a ‘deep crisis’, which requires ‘deep structural changes’ (namely the elimination of social funding for pensioners, low income wage earners and school children). The Troika’s journalists and editorial writers, portray Venezuela as an unmitigated disaster: a stagnant and collapsing economy, ruined by an authoritarian populist regime repressing peaceful opposition dissenters. According to the Troika, Venezuela is incapable of providing basic goods to consumers. Instead it resorts to draconian confiscation of goods from honest businesses – unjustly accused of hoarding and profiteering. The daily reality of manufactured ‘shortages’ is consistently ignored. When the Venezuelan government attempts to stop violent cross border raids by Colombian paramilitary gangs and smugglers it is denounced as arbitrarily repressing Colombian immigrants. When Caracas arrests opposition leaders because of their well-documented involvement in violent street demonstrations, promoting the sabotage of power plants and clinics and for planning coups, they are portrayed as violating the ‘human rights of legitimate dissidents.’. The Troika never mentions the tens of millions of US dollars provided by Washington to opposition NGOs to pursue its destabilization campaign against Venezuela. It labels US-funded opposition NGO’s as “independent civil society organizations” (just like Ukraine before the putsch). For almost 2 decades, the Troika has praised Venezuelan opposition groups as formidable critics of the Chavez-Maduro government, but has never explained to their readers why such ‘formidable’ groups have been soundly defeated in 14 of the 15 elections. In its Middle East coverage, the Troika consistently depicts the Palestinians as violent terrorists and aggressors while describing Israelis as their victims. According to the Troika, the Israeli army is engaged in justifiable ‘reprisals’ when they bomb and slaughter Palestinian civilians trapped in Gaza. The endless dispossession of Palestinians of their homes, farms and rights and the violent settler occupation by Israeli Jewish colonists is presented as the just settlement of Jews escaping persecution. (2) Israeli systematic terror and mass jailing of peaceful protesters. Palestinian resistance is described as ‘incendiary, irrational violence’. The Troika journalists produce ‘articles’ which are virtually indistinguishable from the press handouts of the Zionist Power Configuration in the US. The Troika even chastises their partner US-EU regimes for their bland criticism or expression of shock at Israel’s most egregious crimes. The Troika echoes Israeli and Zionist attacks on international tribunals charging Israeli officials with crimes against humanity. The Troika claims they lack ‘balance’. The Troika has demonized the Syrian government of Bashar Assad while backing jihadi terrorists dubbed ‘rebels or ‘moderates’. It has long argued for greater direct military intervention by NATO armies to overthrow the government in Damascus. The Troika, masquerading as an independent ‘financial press’ publishes scores of articles by dozens of ‘armchair generals’ who concoct military strategies against Damascus while ignoring heavy economic costs, the social catastrophe of 4 million internal and external Syrian war refugees and the grave consequences of the splitting up a once-unified secular nation-state. The Troika even chastises states and governments which have adopted ‘free market policies’ but maintained or introduced moderate social palliatives. For example, the Chilean regime of Michelle Bachelet fell victim to Troika criticism for promoting a mild increase in corporate taxes and implementing trade union legislation allowing for greater workers’ rights. According to the Troika, these mild reforms have led to economic stagnation, a decline in investment and greater social polarization. The Troika’s ‘journalism and editorializing’ on Russia has totally distorted its recent political and economic history. Like all confidence men, Troika journalists and editors mix a few threads of facts with patent falsehoods, magnifying defects and minimizing achievements, ignoring positive long-term trends and emphasizing episodic negatives. The Troika’s accounts of Russia’s recent military and diplomatic assistance to the Syrian government’s struggle against Islamist terrorists, ignores the achievement in reversing IS advances and stabilizing the central government. The Troika paints a specter of Great Russian geopolitical expansion and ignores the long-standing political partnerships and alliances between Russia and major countries in the region, Iraq, Iran, Lebanon, Syria and Jordan. With matters ‘economic’, the Troika describes the ‘catastrophic’ impact of US-EU sanctions against Russia over Ukraine, while ignoring the positive long-term results for Russia’s economy –greater self-reliance and investment in manufacturing and agriculture as a stimulus to local producers and the emergence of alternative overseas suppliers and markets, especially China and Iran. The Troika highlights Russia’s two-year recession while ignoring a decade and a half of substantial growth after the catastrophic ‘Yeltsin’ years. The Troika falsifies past and present political developments. They discretely praise the Western-backed violent gangster-oligarchs who ruled Russia during the pillage years of the 1990’s as a democracy while denouncing the relatively peaceful and competitive elections under the Putin Presidency as ‘authoritarian’. The Troika resorts to similar propaganda ploys with China. Any slowdown from China’s three decades of double digit growth gets spun as an imminent collapse, ignoring the fact that the US-European business community can only dream of China’s still robust growth rate of 7%. The allegations of Chinese cyber theft of Western science and technology ignore the obvious fact that China’s enormous public investment in basic and applied science and technology in dozens of centers of excellence has produced stunning achievements and levels of scholarship. A review of the international scientific literature and journals – paints an entirely different picture of Chinese advances from that described by the Troika. Chinese economic growth through seaborne exports requires major investment and commitment to its maritime routes and security. To counter Chinese growth and assert US supremacy, Washington has signed new, provocative military pacts with Japan, Australia and the Philippines and escalated the intrusion of its planes and ships into Chinese waters and airspace. The Troika labels China’s defense of its waterways as an “aggressive” military threat to its regional neighbors, while US military investments in bases in Asia and constant intelligence gathering exceed Beijing’s five- fold. US warships brazenly violate China’s 12 mile maritime boundary. The Troika’s campaign against Argentina, permeating its pages, minimizes the role of a short-term contemporary slow-down in international demand for commodities and attributes Argentina’s problems to its welfare programs, capital controls and state regulation. TheTroika fails to acknowledge the past decade of growth, prosperity and rising living standards among the people in Argentina. The source of Argentine stagnation is not because of a lack of free market policies but the Fernandez regime’s accommodation and promotion of the interests of international bankers, virtually all foreign debt holders (except one notorious ‘vulture’!) and extractive capitalists (agribusiness, Monsanto, Barrack Gold etc.). The Troika ignores ‘the decade of infamy’ – the 1990’s – during which Argentina served as a bargain bazaar for the privatization of lucrative public enterprises and eventually collapsed in the 2001 crash with major bank closings, one hundred thousand bankruptcies and five million unemployed (30% of the labor force) – a thoroughly pillaged economy. Instead the Troika fabricates an ideal world of past free market prosperity in order to condemn contemporary Argentine, ignoring the real historical record of a liberal debacle and Keynesian recovery. Venezuela is currently in a severe crisis, as the Troika scribes remind us in their shrill reports – blaming it entirely on ‘populist’ (i.e. public spending on social welfare) and ‘nationalist’ policies. The Troika ignores the well-documented sabotage by the importers and distributers in the private business community, hoarding, excess profiteering and currency speculation. These problems are exacerbated by the sharp decline of oil revenues resulting from international market forces, and not merely government mismanagement. The Troika tells their readers that the Chavez and Maduro governments are authoritarian, ignoring the dozen and a half free and competitive elections since Chavez’ ascent to power. Moreover, the Troika has remained rather quiet over their verbally violent editorial support for the opposition business-led and US embassy-backed military coup in 2002 and an aborted coup in 2014. At most their polemical screeds give the discerning reader an insight into thepropaganda line promoted by the Western powers. If and when the Troika succeeds in promoting more wars, as it has been doing in Iraq, Libya, Syria, Yemen and Somalia, each and every militaristic adventure will lead to economic and social disasters spawning millions more refugees.